Small icebergs have broken of the glacier tongue Breiðamerkurjökull, extending from the south end of Vatnajökull. Slowly melting the ice floats in Jökulsárlón towards the sea. Tourists can enjoy a boat ride across the lagoon in old amphibious vehicles. 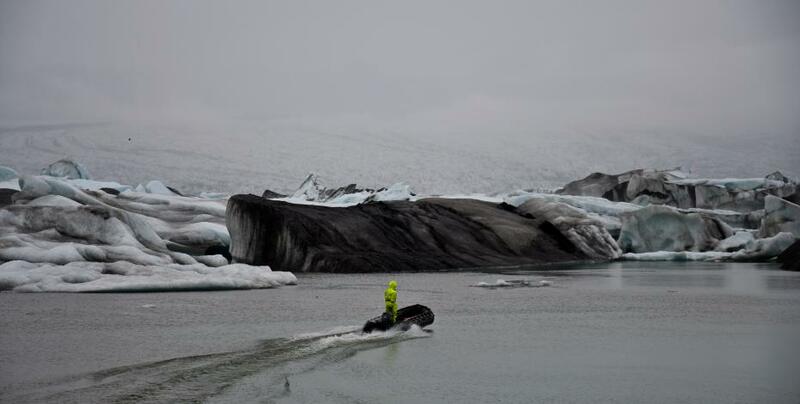 To move icebergs out of the way a dinghy accompanies the tourists, pushing clear a waterway.